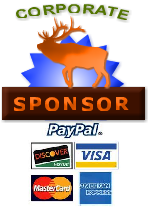 Become a member and help get our wounded veterans back outdoors! Get to know USWO and help ensure the future of outdoor adventures for our wounded veterans! 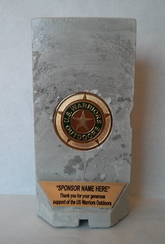 The future of helping get our wounded veterans back outdoors is in your hands. You may also join or donate by calling 720-608-USWO (8796). Most Veterans carry a challenge coin in their pocket or have one or more stashed away in a drawer somewhere. The USWO is offering a challenge coin to anyone who joins the USWO as an annual member at the $35 level. For veterans who were deployed to Iraq or Afghanistan, you have seen the full size version of a T-Wall. Join the USWO as an annual member at the $100 level and you’ll get a miniature T-Wall with a USWO challenge coin and your name on a plaque at the base of the T-Wall. We have an extra special thank you if you join the USWO as a lifetime member at the $1,000 level. 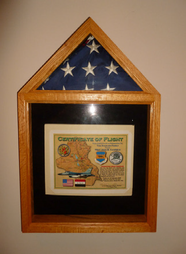 A Marine unit, currently deployed to Afghanistan, will fly a flag in your honor. You’ll receive the flag and a certificate of authenticity, thanking you personally for your support of the USWO and combat wounded veterans. In addition to your new member gift, you will receive a USWO sticker for your car or truck and a copy of the USWO quarterly newsletter for the full term of your membership. You can also feel proud to know that your paid membership will allow the USWO to provide more Outdoor Adventures for America’s Heroes. "It is in giving oneself that one receives."